Our Day 2 in Seoul was filled with fun activities. 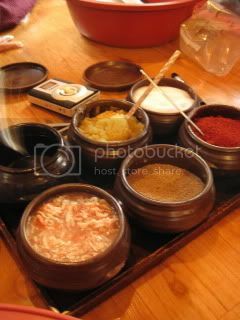 We went to learn home-style traditional Korean culture including kimchi making in the morning. 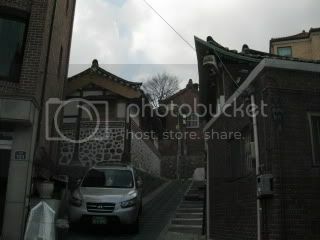 It took place at a beautiful old-style Korean house in Samcheong area, which is a hilly old neighborhood filled with traditional houses as well as modern shops, cafes, galleries, etc. 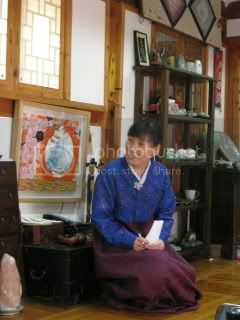 The owner/ teacher of the house, Ms. Lee, welcomed us and a few other participants in the house. 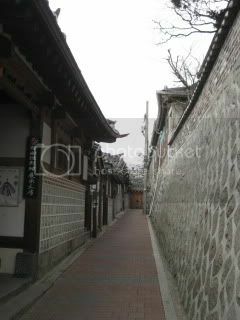 She explained about traditional Korean teas and offered everyone a cup of tea of your choice with dessert. 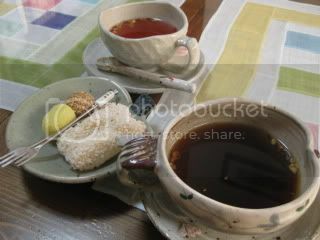 I had Kanpo-cha (Korean medicinal tea), which had the nice sweet spice and herbs in the flavor. 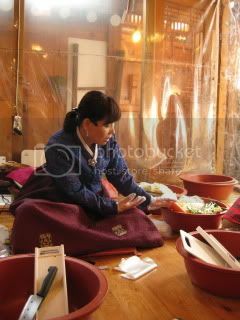 After the welcome tea, we went to a dressing room filled with beautiful traditional Korean dresses (chima chogori). We all changed to these dresses. 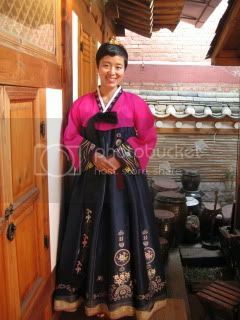 It was my first time to try a traditional Korean dress, so I was so excited. We took many pictures in the dresses, then Ms. Lee gave us manner lesson. 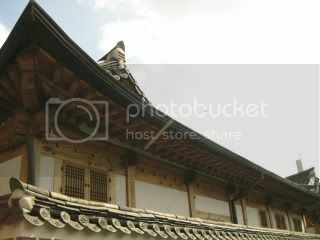 We learned how to greet, bow, sit, etc., in different occasions in Korean culture. We changed our clothes again, put on aprons, and got ready for a kimchi making class. 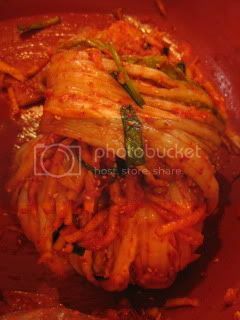 Although, I’ve made kimchi before (by learning from different books), I’ve never learned the real way and was very excited to experience it in the hands-on class. 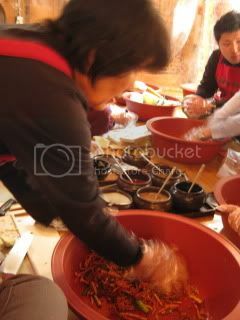 Ms. Lee showed us all the ingredients for kimchi and demonstrated how to make it. Mom and I made it together. 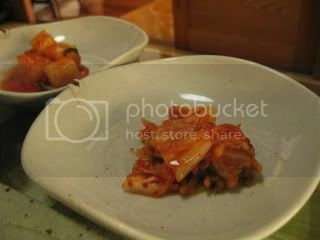 Our kimchi was ready! 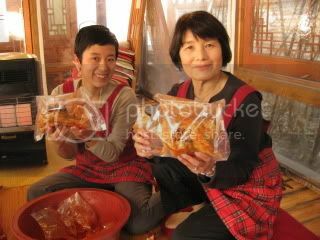 We all got to take home our own hand-made kimchi. After the “labor”, we were welcomed back in the guest rooms for lunch. 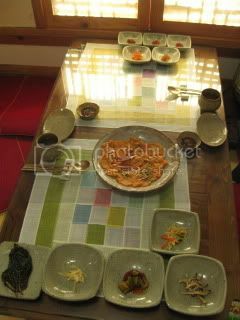 We were treated to a traditional Korean home-style dishes. 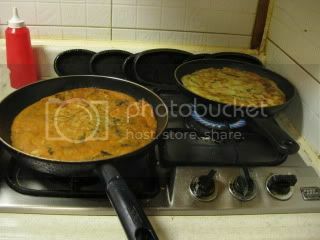 I peeked in their kitchen (real “home” kitchen, and it smelled so nice). 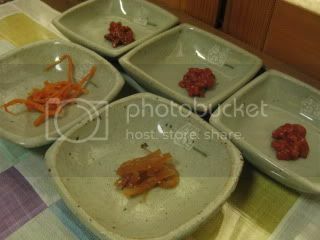 Our table was already filled with the small side dishes (“banchan”). They kept bringing so many dishes one after another. 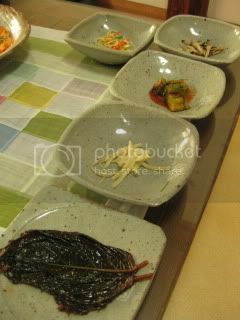 Just for banchan, there were 13 kinds! 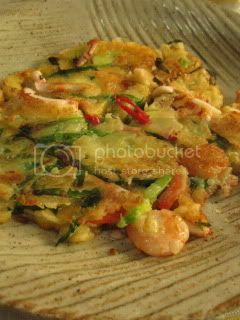 Two different kinds of pancakes (“pajeong”)…Kimchi pajeong and seafood pajeong. 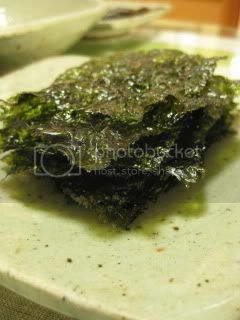 Rice, roasted seaweed, egg custard, pulgogi, wakame seaweed soup, etc…their homemade kimchi was superb! Ms. Lee came to check on us multiple times to make sure we were enjoying the lunch. She was very, very sweet! 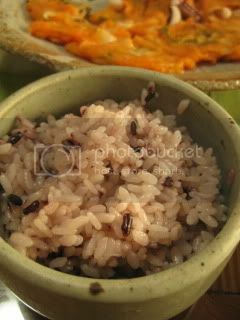 She said these are very typical home-style dishes, and everything was made here at home. 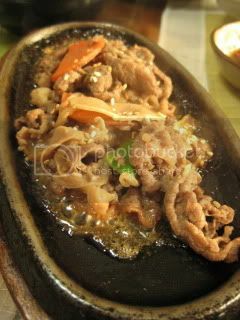 She also mentioned that she uses the best fresh ingredients for these dishes. What a feast it was! 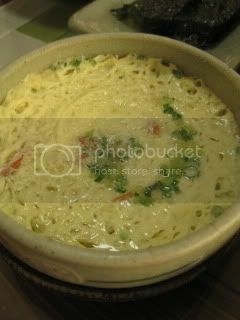 All the dishes were so delicious and filled with her kindness and love. 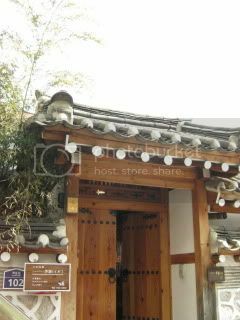 The whole experience was as if we were invited personally at Ms. Lee’s hose. The hospitality she (and two other assistants) gave us was so generous and so personal. We had the wonderful cultural experience thanks to them. I told Ms. Lee that I will come back to see her again. 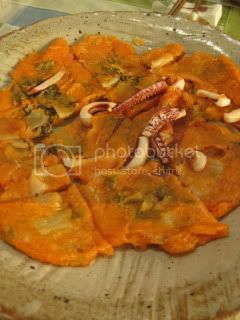 Now, I can’t wait to try my hand-made kimchi.